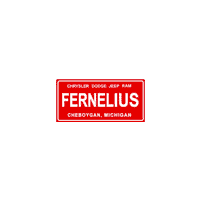 The all-new, state-of-the-art Fernelius Chrysler Dodge Jeep Ram, situated at 11283 North Straits Highway on eight acres conveniently located near Petoskey, provides a diverse inventory as well as a large modern service area to residents of the Cheboygan zip code and beyond. It was designed with the Indian River area customer in mind; whether customers are traveling a long distance or a short jaunt, our facility will meet their needs. Customers have an enjoyable experience while they wait. The beautiful showroom with its high ceilings and large glass windows provides natural light for car shopping in the showroom and stunning views of Onaway. When entering the dealership, patrons are welcomed at the large reception desk where their needs are quickly addressed by one of our many sales associates. A Business Development center holds space for sales staff with over 10 work stations. Comfortable tables and chairs placed throughout the store welcome customers as they shop. The aesthetic of the waiting area and showroom is focused on the elements of nature you’ll find in the surrounding Gaylord area. The large dark charcoal two-sided fireplace is inviting and warm, and the café area, with its dark wood tables and oxblood chairs, is a great place to enjoy a cup of coffee. On the opposite side of the fireplace, customers will find beautiful overstuffed chairs to comfortably wait. In addition, there is a space designed for children. The little tikes area has several amenities to occupy idle hands while parents and grandparents shop or wait: a small Jeep to play on, interactive wall clings, and a drawing table, just to name a few. For the active Harbor Springs resident, the facility has an exercise room. The mirrored wall is opposite two windows overlooking the property. The room includes a treadmill, elliptical machine and hand weights. The bathrooms have a locker room attached equipped with a shower and individual lockers. The second floor holds the business office and has four workstations. A large conference room, situated just above the showroom, is designed for educational training and meetings. A whiteboard, overhead, and media capabilities provide up-to-date technology. The room will be used for business meetings and is open to the public for use if available. The dealer office is also housed on the second floor as well as an additional comfortable quiet waiting area. This balcony is attached to the showroom by a beautiful glass staircase, which brings in the natural elements of wood on the treads as well as the foundation encased in reclaimed wood. The stairway also houses a large pond and waterfall. This architectural piece is made of stone and filled with greens and live fish. The north side of the facility provides a unique area designed specifically for the customers’ convenience. The F&I office sits directly across from the new car delivery area so customers can see their new vehicles as they finish paperwork. Then, they can walk around the car free from the elements in a climate-controlled area. 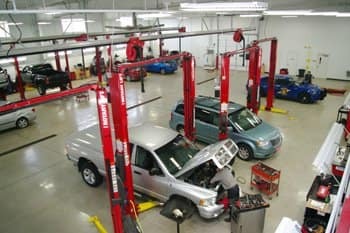 Our service area can accommodate the needs of any vehicle repair or maintenance requirement. Customers can pull up to the large service doors which automatically open providing an easy, dry drop-off and pick-up. The service write-up area is situated right next to the drive-in lane where our service staff welcomes and assists customers. Once the car is checked in the customer can enter the waiting area adjacent. 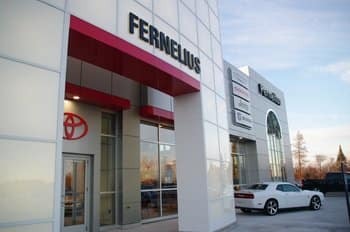 The new Fernelius dealership provides vehicle service like no other in the Cheboygan zip code area. Servicing your vehicle has never been easier! Eight stalls, high tech equipment, and certified technicians mean we are equipped to handle any car care needs promptly, efficiently and with the peace of mind knowing it is properly serviced and ready to go. In addition, the facility has two quick lube stations and wash bays. We meet customer’s auto parts requests at our new parts entrance and service area. Our parts inventory is large and can accommodate customer needs. 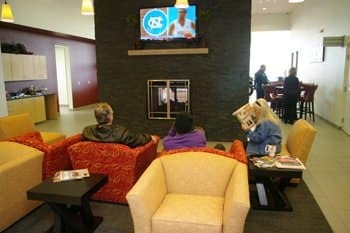 When designing the dealership, we looked at every way possible to provide a comfortable facility, while also being attentive to our environment. Our large waste oil burners help to make our facility “green” as we use oil waste to burn and operate our in-floor heating system. This heater also keeps the area outside of the showroom clear from ice and snow. The facility was designed with the customer in mind. Large HD televisions, surround sound music, and of course, the best new Chrysler, Dodge, Jeep, Ram selection around adds to the climate. Future plans include a full functioning café. We invite the Cheboygan zip code community and beyond to stop in anytime to see what all of the talk is about and let us know what we can do to meet your vehicle needs. Photos courtesy of Jerry Pond. That means you can expect to learn all of the features of the specific new RAM 1500, Jeep Cherokee, Jeep Renegade, Chrysler Pacifica or Dodge Grand Caravan you’re interested in. In the market for a used car? Our team will be happy to fill you in on each of the reliable options in our inventory. And when the time comes for you to drive home your next car, our auto finance team is standing by with solutions like our value your trade in calculator to fit your individual needs. At Fernelius Chrysler Dodge Jeep Ram, our commitment to excellence does not end with the sale, though. In order to ensure a positive ownership experience, we staff an onsite auto service and repair department. And for those of you who prefer to perform their own work, we also maintain a vast collection of auto parts for sale in Cheboygan. Fernelius Chrysler Dodge Jeep Ram truly has every one of your automotive needs covered. The only question left now is how we can best serve you. To take advantage of any one (or more) of our services, be sure to contact us today. Or, stop by and see us in person at 11283 N. Straits Highway Cheboygan, Michigan today. Visit us, we would love to see you!